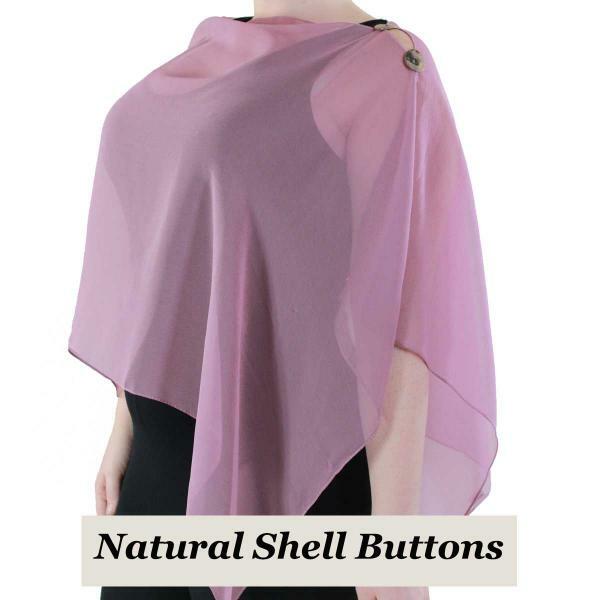 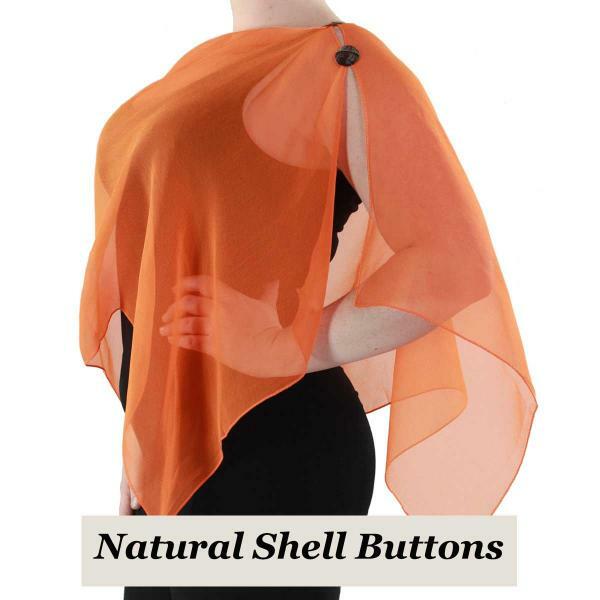 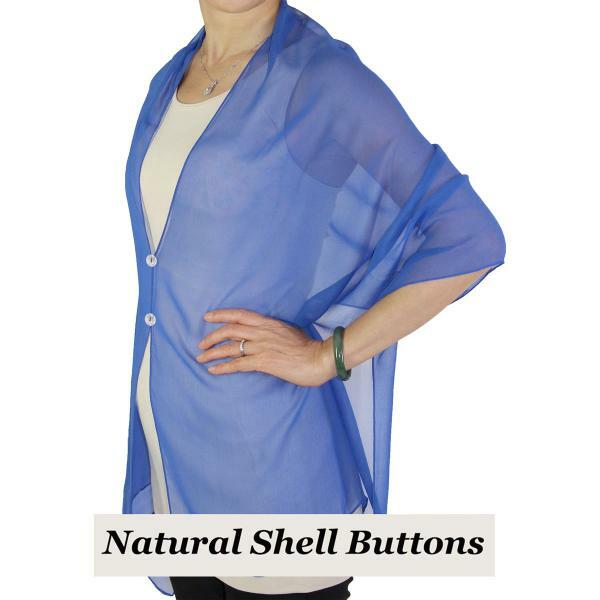 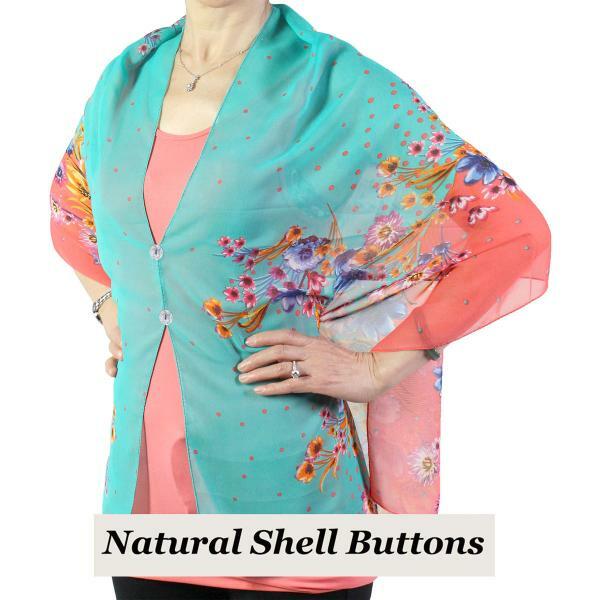 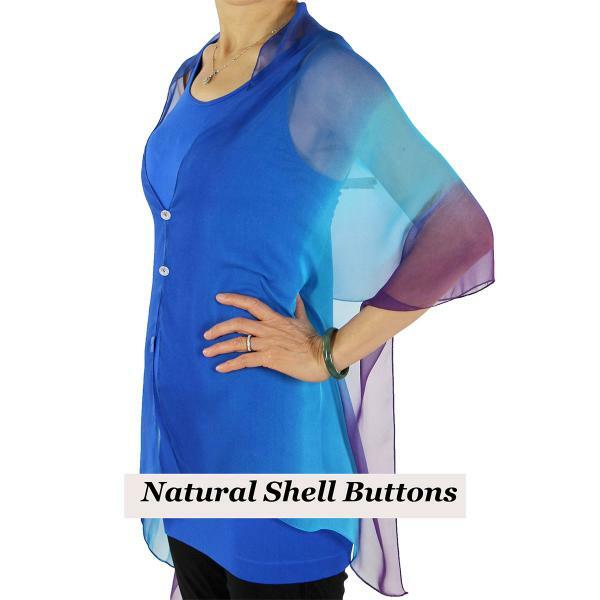 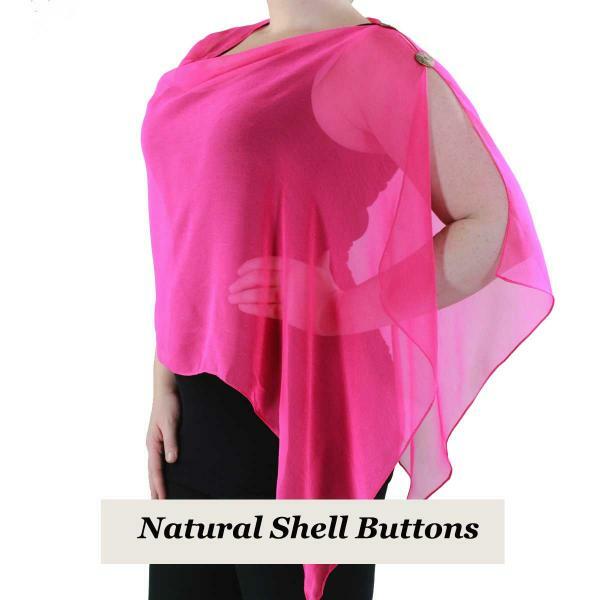 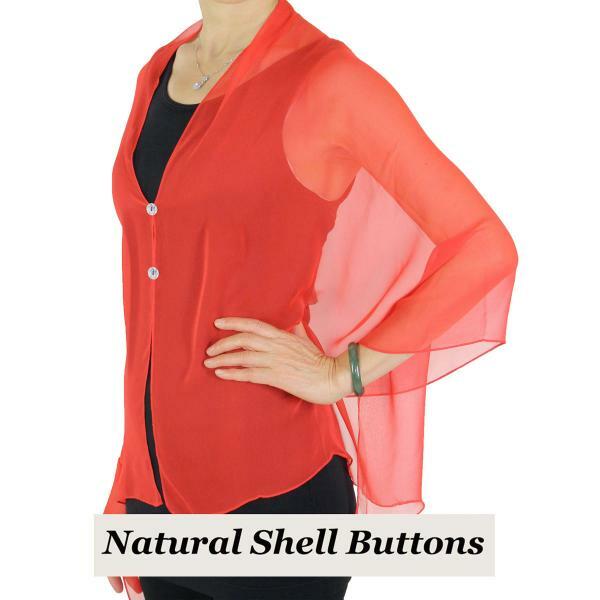 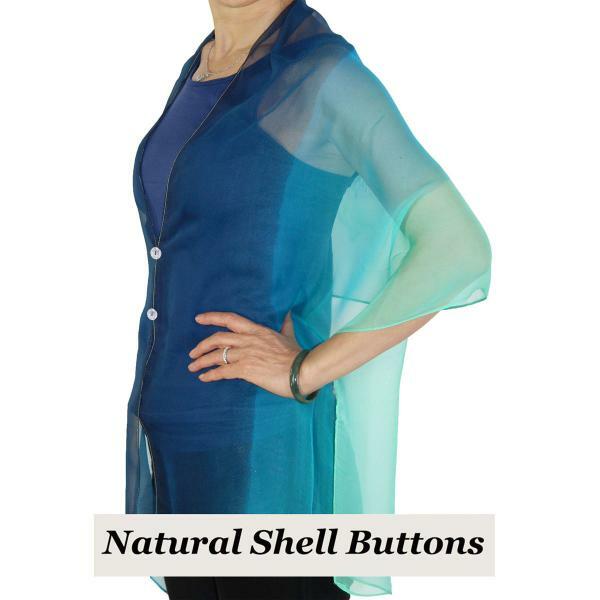 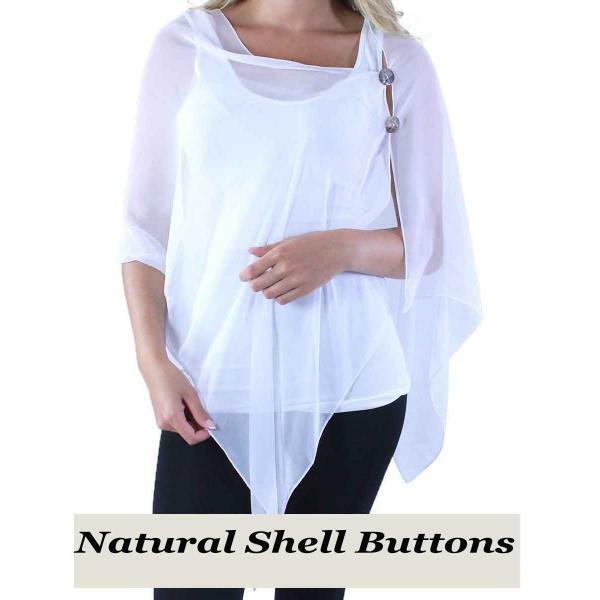 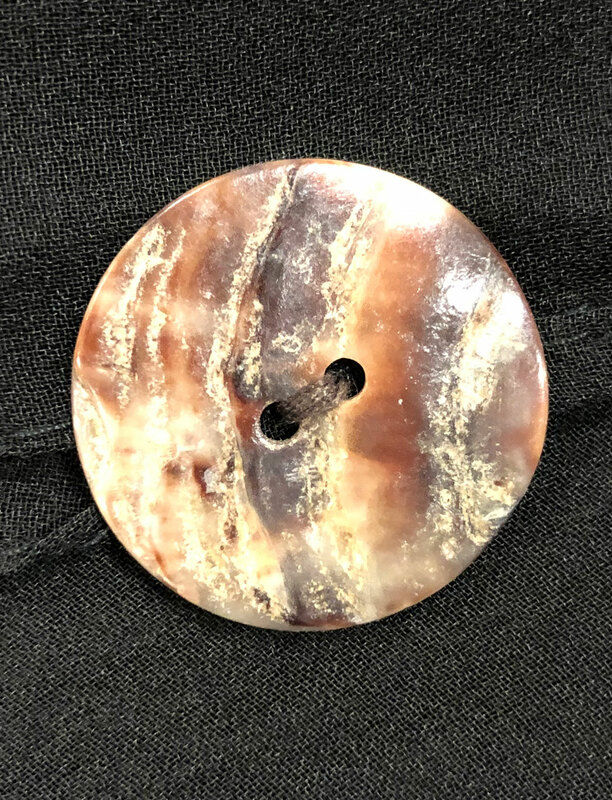 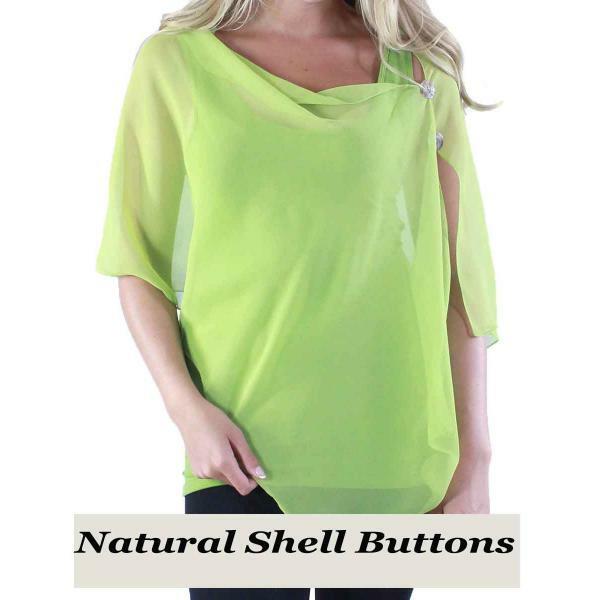 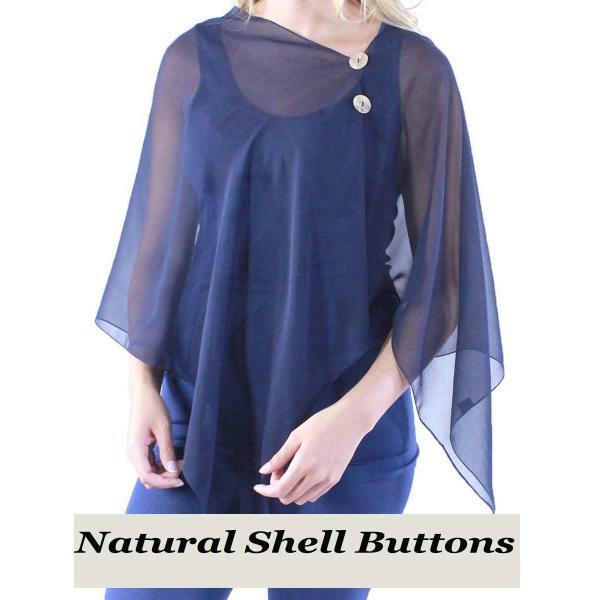 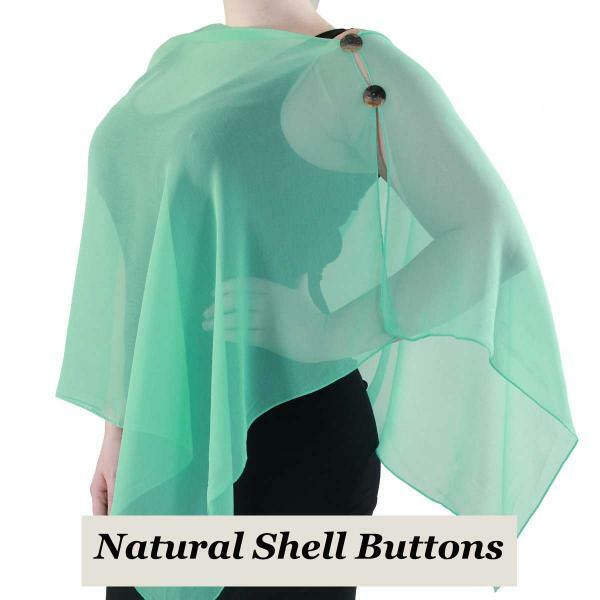 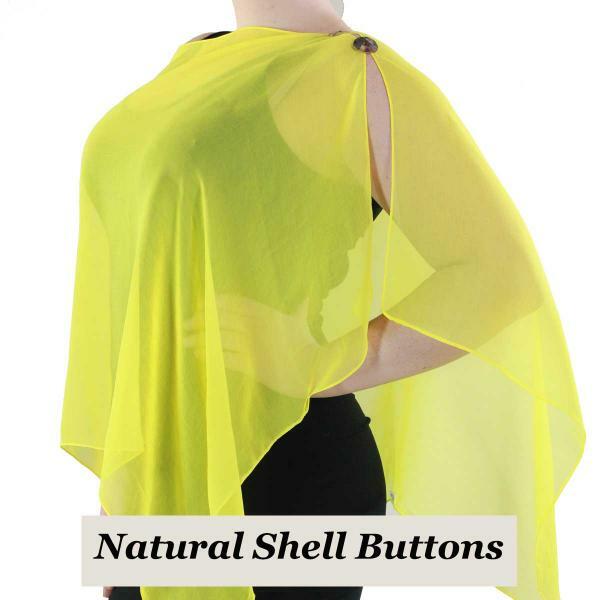 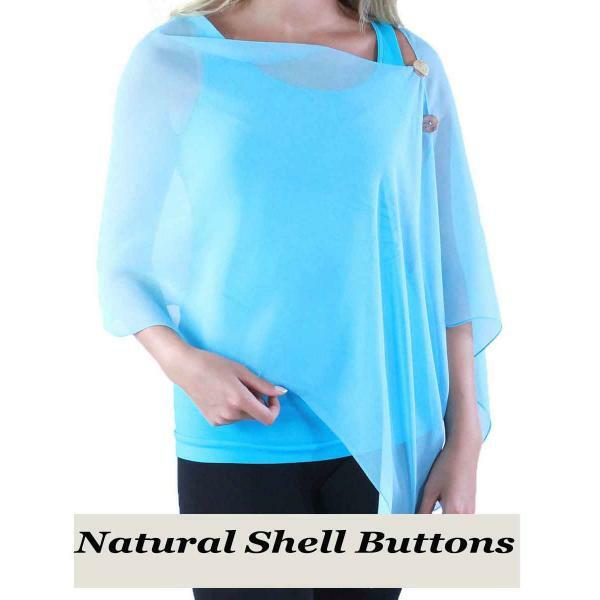 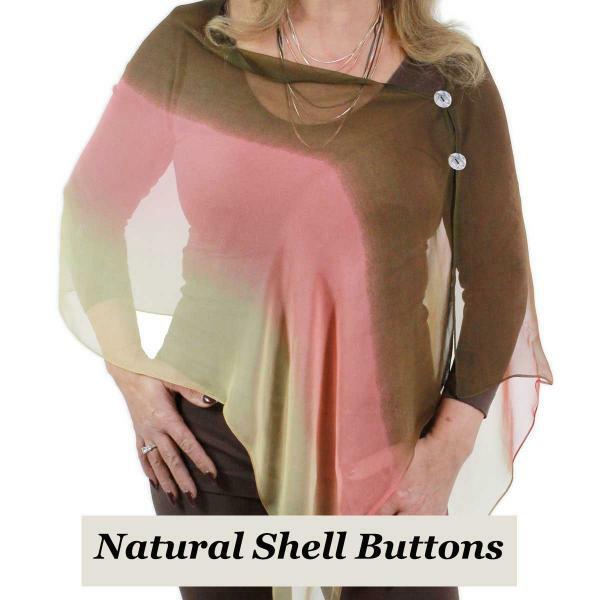 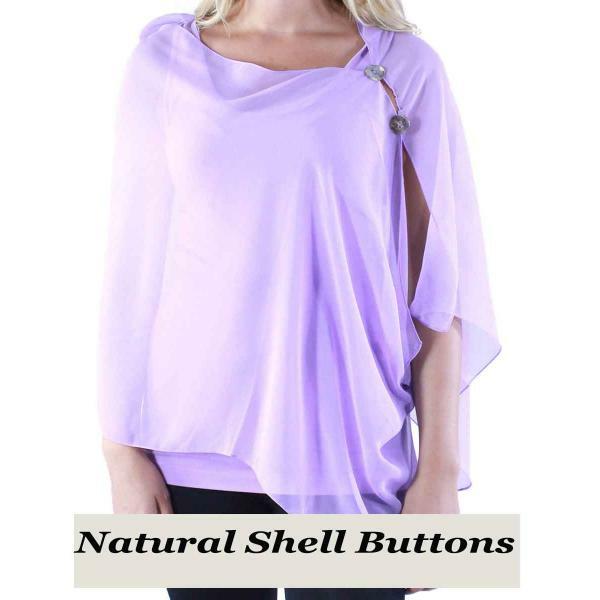 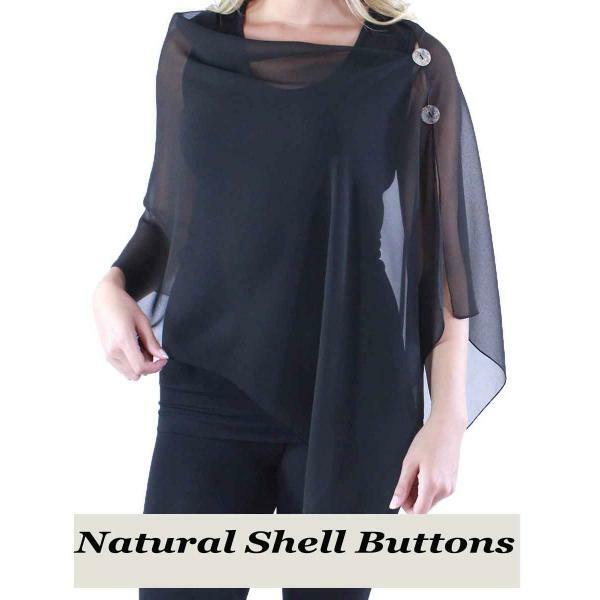 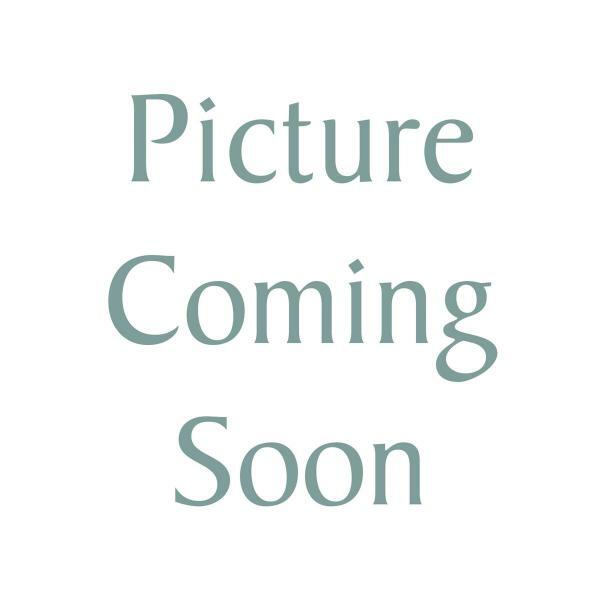 These shawls are made with silky lightweight fabric attached with two natural shell buttons to create a vest or poncho like appearance that is casual yet elegant. 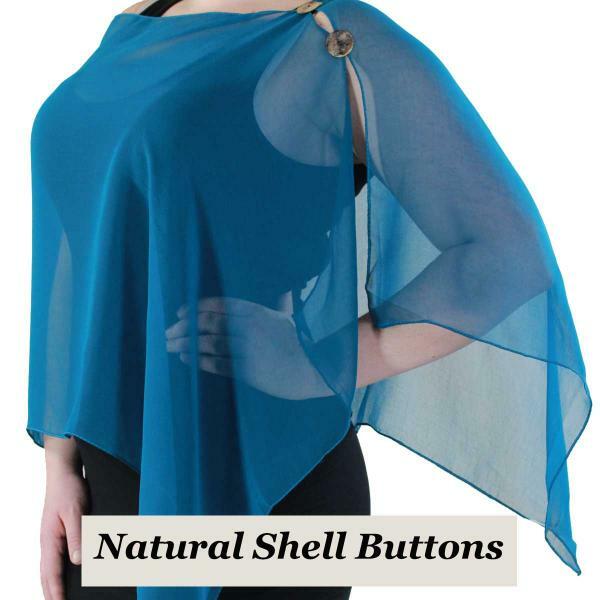 The low cost is astonishing because they look extravagant and expensive. 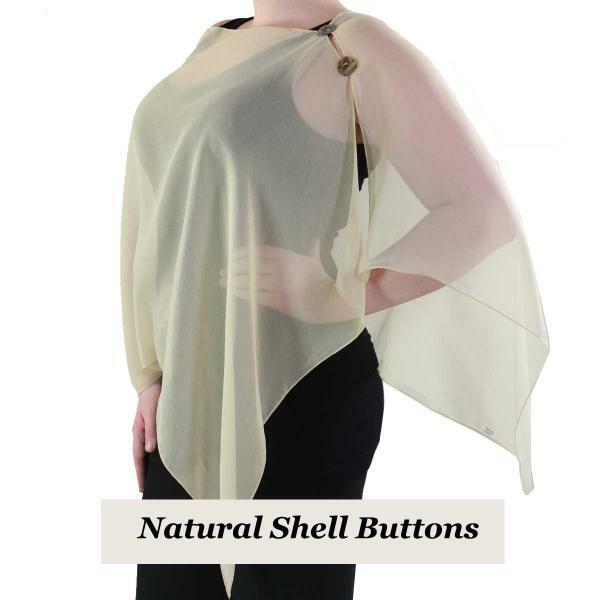 The style flattering on all body types and the beautiful fabric could fool anyone to believe it is silk.